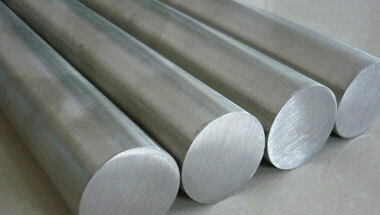 Hastelloy C22 Round Bars & Rods Manufacturer, Hastelloy C22 Round Rods Supplier & Exporter in India. Manufacturer & Exporter of Hastelloy C22 Round Bars & Rods, Hastelloy UNS N06022 Hex Bars, Hastelloy C22 Square Bars & Hastelloy C22 Round Rods Supplier in India. We Neon Alloys hold expertise in Manufacturing & Exporting a wide array of Hastelloy C22 Round Bars to our customers. These bars are widely used in various industrial applications such as fluorine hydride furnace cleaner, incineration cleaner system, and nuclear fuel regeneration. Our Hastelloy C22 round bars known for resistant to general corrosion, crevice corrosion, intergranular attack & pitting, stress corrosion cracking. We assure our customers that this Hastelloy C22 round bar is quality tested on predefined parameters so as to meet the quality standards. Our organization consists of rich technical skill and manpower support that monitor every step of the Hastelloy C22 round bars manufacture and export and make sure that the client receives the best in hand. Our Hastelloy C22 Round bars & rods are used extensively in various industries such as Sugar, Paper, Textile, Dairy, and Engineering to more complexes such as Oil & Gas, Petrochemical, Chemical & Fertilizers, Power Generation and Nuclear Industries etc. As a result to that our export account today is in over 45 countries some of them are Turkey, Bangladesh, Italy, Japan, Thailand, Hong Kong, Switzerland, New Zealand, Kuwait, Mexico, Malaysia, Nigeria, Singapore, Saudi Arabia, Netherlands, Brazil, Colombia, Egypt, United States, United Arab Emirates, Canada, Pakistan, Spain, France, United Kingdom, Indonesia, Russia, Vietnam, Iran, Iraq, Sri Lanka, South Africa,, Nigeria We welcome your inquiries. Hastelloy C22 Rods, Hastelloy C22 Werkstoff Nr 2.4602 Round Bars, Hastelloy C22 Round Rods, Hastelloy C22 Hexagonal Bars, Hastelloy C22 Bright Bars Supplier & C22 Bars Exporter in India. Venezuela, Iraq, London, United States, Ethiopa, Angola, Brazil, Mexico, Malaysia, Australia, Russia, Canada, Nigeria, Israel, Dubai, New Zealand, Peru, Iran, Chine, Uganda, Italy, Indonesia, Argentina, Morocco, Colombia, South Africa, Jordan, Mozambique, Kazakhstan, Saudi Arabia, Houston, Turkey, Africa, Bahrain, Azerbaijan, Vietnam, Tunisia, Sri Lanka, Egypt, UAE, UK, Thailand (Bangkok), Germany, Ghana, Cameroon, Kuwait, Sudan, Trinidad and Tobago, Algeria, Democratic Republic of the Congo. Harare, New York, Riyadh, Algiers, Douala, Omdurman, Lusaka, Addis Ababa, Nairobi, Luanda, Kano, Bamako, Soweto, Cairo, Singapore, Kolwezi, Mecca, Dubai, Khartoum, Byblos, Jeddah, Accra, Antananarivo, Manama, Dakar, Ibadan, Port Elizabeth, Cape Town, Mbuji-Mayi, Cairo, Port Harcourt, Hong Kong, Yaoundé, Abidjan, Doha, Fez, Maputo, Muscat, Lagos, Lubumbashi, Data from the UN, Aqaba, Tel Aviv, Istanbul, Freetown, Jerusalem, Bethlehem, Zaria, Beirut, Johannesburg, Giza, Durban, Conakry, Subra al-Haymah, Pretoria, Dar es Salaam, Kampala, Tehran, Ouagadougou, Benin, Casablanca, Rabat, Dammam, Kinshasa, Tripoli, Bulawayo, Sharm el-Sheikh, Colombo, Maiduguri, Brazzaville, Amman, Kaduna, Abu Dhabi, Mogadishu, Alexandria.